Ciprofloxacin Side Effects -How Bad Could They Be? If you think that Ciprofloxacin Side Effects can't be THAT bad, you'd be VERY wrong. 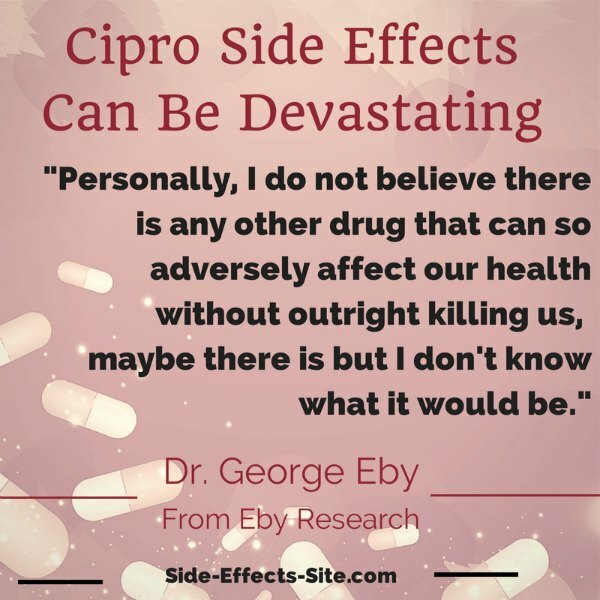 The bad side effects of Cipro can be REALLY bad and are likely to be extremely underestimated. Ciprofloxacin, also called Cipro, is in a class of antibiotics called the Quinolone Antibiotics, of which you can find a complete List of Quinolones here. And when you read that page about them, you'll see that at least nine different members of the quinolones have been removed from use due to severe toxicities after having being released to consumers like you. So, do you think that Ciprofloxacin Side Effects are safe when nine other quinolones have been proven NOT to be safe? Oxidative stress is the KEY to understanding Ciprofloxacin side effects. But 'they' don't want you to know about this- for very good reason. Oxidative stress involves processes by which specific molecules are released that cause destruction throughout the body. 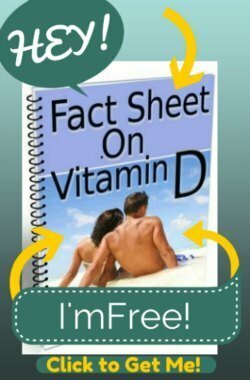 If you were to read <b>ANY</b> material about 'anti aging' or formulas for long life, the one thing that is said REPEATEDLY and seems to be agreed upon by every proponent of longevity is that the KEY to living a long and healthy life is to avoid the free radical damage caused by Oxidative Stress. So, understand that the OPPOSITE of and the ANSWER TO oxidative stress is… antioxidants. And while not everyone has heard of oxidative stress, almost everyone knows that antioxidants are good for you. Well, the reason WHY antioxidants are good for you is that they are 'Anti- Oxidative Stress'! and any of the other toxicities that might occur with their use- then you are completely safe, and that you do not have any damage from these antibiotics. But this is just crazy. It makes sense that EVERYONE who takes them gets Oxidative Stress Ciprofloxacin side effects to some degree or another. But, for whatever reason, the people who end up in the hospital or disabled for life from it are just more susceptible to these damaging effects or for some reason get more extensive damage than others do. And while there have been no studies on this, there is speculation that the hordes of people out there who have been diagnosed with Chronic Fatigue Syndrome and Symptoms of Fibromyalgia may be suffering some of these Ciprofloxacin Side Effects resulting from this oxidative stress! The Oxidative Stress leads to another serious problem, damage to the Mitochondria of the cells themselves. Mitochondria are the powerhouses of the cells, the place where all of the energy of every individual cell is produced. Damage to these mitochondria can lead to symptoms of debilitating fatigue that many experience after taking these toxic drugs. Without properly functioning mitochondria, your body just can't work. It's like having a car without an engine. The fluoroquinolone antibiotics are designed to inhibit the mitochondria of the bacteria that they are given to fight in order to kill them. 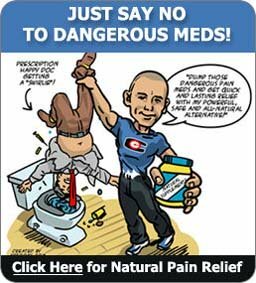 But the drugs do not just target the bacterial cells, they also end up causing DNA Damage, much to your detriment if you experience any of these painful and possibly even debilitating Ciprofloxacin side effects. •	Diarrhea: Probiotics have been shown to be very effective against diarrhea. But you must get a high quality one such as Prescript Assist Probiotic. If you are planning a trip to a remote area where getting traveler's diarrhea is a distinct possibility, then begin taking probiotics before you travel and continue them throughout your stay. •	Urinary Tract Infections:there are MANY MANY anecdotal studies showing that a substance called D Mannose Supplements that prevents the bacteria from an infection from sticking to the bladder wall- allowing the bacteria to simply wash away in the urine. 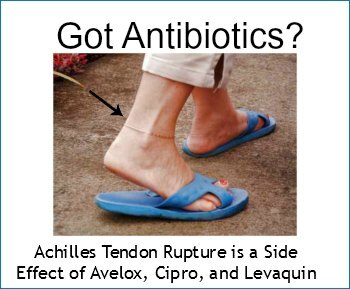 •	Wounds: Do you REALLY need to take antibiotics for infected wounds? The book Iodine - Bringing Back the Universal Medicine- gives another perspective on a substance used for generations on wounds. Honey is another substance that has been used effectively for wounds and infections- even in hospital settings! •	Chronic Bronchitis: These are most often NOT bacterial, and if you don’t have any other serious medical problems, rest and drink plenty of fluids and it's likely to go away on its own. So, if you are contemplating taking Cipro for any reason other than a life threatening infection, you may want to think again. 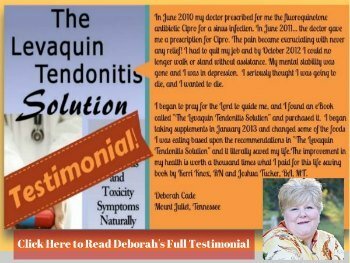 Ciprofloxacin Side Effects can be really bad and while there is now a Levaquin Tendonitis Solution that the authors of this website spent years formulating and testing, is it REALLY worth the risk of a potentially disabling toxic reaction to get rid of whatever you have?